Reiki meditation for chakra balancing and inner balance. Your chakras are energy centres located within and around your body which get blocked for various different reasons. Your way of thinking has a big influence on your chakras. Negative thinking can block their flow and positive helps them flow freely. In this powerful meditation you will cleanse and clear your seven major chakras with the powerful healing energy that is Reiki. Virginia Harton will gently guide you through each chakra during this guided meditation. Everything that you've heard just put them into daily practice for awhile, you will see amazing results in the way you think, feel, and create a better life and health for yourself and others. 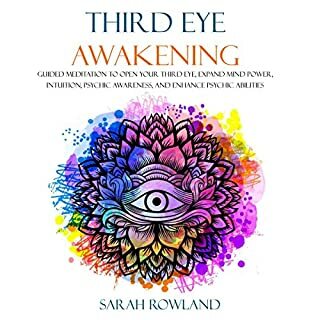 I would highly recommend this audio book to anyone seeking either an initial, or a deeper understanding about Chakra awakening! This is a straight forward audio book on chakras and how to balance and awaken them. I really love how there is no long drawn out background or super detailed history lesson. This audio book is for the person who wants to go straight to the heart of it: what is the chakra, what symptoms does a blocked chakras have, and how can it be balanced, how to heal your body and how to increased your energy and so much more! Such a great audio book! Such a great Chakra awakening audio book! 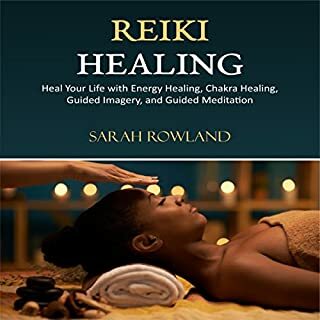 Sarah Rowland takes you through the journey of the Chakras in a complete and well rounded way and love her sense of humor! She goes into much detail about each Chakra such as Chakra Balancing, Chakra Healing and many more! Sarah Rowland shares deep lost teachings about spirituality and the chakra system. In order to activate the chakras, one must have a true understanding of spirituality, build a strong foundation, and then practice the techniques in oder to obtain the real benefits of chakra activation, and that's what this audio book provides. I highly recommend this! With this audio book I learned the fundamentals on how to unblock my chakras! My friends were claiming that this type of meditation is for those who want to balance their body, mind and spirit. And it actually worked well for me. I have learned and discovered a lot from this audio book, I also love on how it was narrated! This audio book has totally changed my life! I am so grateful for the truths shared by the author in Chakra Awakening. For me it's a complete audio guide book of chakra system and lost techniques.The knowledge shared herein is highly precious. Thanks a lot Sarah Rowland! The audio books gives me clear and better understanding about what Chakra is, its history, how to get started and how to start my journey on balancing and awaken my chakra. Overall, this audio book must have especially by beginners out there! Good job and thank you Sarah Rowland! I really liked the way the author broke down each step in a clear and concise manner. If this is something that interests you, its definitely a great audio book to listen from as a beginner or to just use as a refresher. I will definitely be trying out some of these in my meditations. Thanks Sarah Rowland! This is a great introduction to the Chakras! There is a solid introduction to the meaning and history of the Chakras. Then a chapter about each with a brief description, symptoms when they are out of balance, how to re-balance and a brief guided meditation at the end of each chapter. Also includes information on additional methods to couple w your meditation practice. Thank you for this helpful, concise book! I'm becoming more aware of my energy field and how to take care of my psychic self, so to speak. This is exactly as described: this audio book contains fundamental introduction to balancing your chakras. This is a fantastic starter audio book for those who are new to awareness of energy, even those skeptics. It's informative and to the point, without confusing spiritual lingo. This was a great audio book about Chakra Awakening! I was able to relate and comprehend everything I heard; it also gives me clear and better understanding about what Chakra is, how it works as well as on starting your journey with Chakra and understanding the Chakra system and etc. Having this audiobook gave me better understanding about Chakra awakening and balancing. The information are well-researched and it was worth the money I paid. 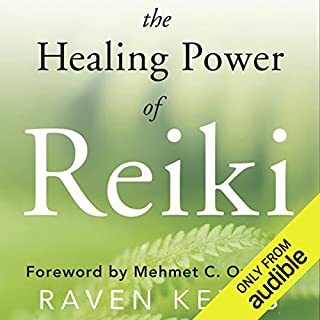 Through this audiobook I was able to discover more about Chakra, how to heal my body as well as to increase energy for us to be able to become stronger everyday! I have learned a lot about on how to awaken chakra through this audiobook. It has ample information about the topic and would definitely recommend this to anyone. Thanks a lot! Guided Meditation to Heal Your Body with Chakra Healing. 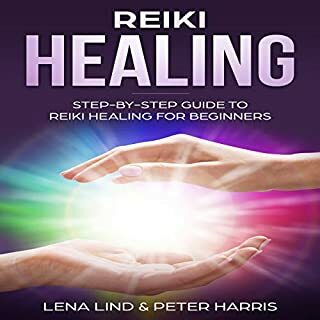 This book will teach you about the 7 chakras and the chakra system; it discuss things you need to know about Chakra awakening, healing, balancing as well as with Reiki healing. A part from that, you'll learn about the cycle of healing your body to increase energy to become more energetic and stronger! Chakras are spinning wheels of light or energy..
Chakras are spinning wheels of light or energy, which reside inside of and around our body. These points of energy are associated with different body parts, emotions, states of mind and developmental stages in our lives. Creating and understanding of the chakras can allow us to dive much deeper into the relationship between our mind, our body and our heart. 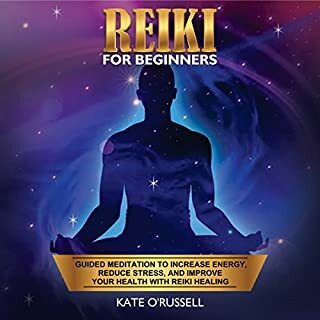 If you're a newbie and you want to learn more or discover more about what chakra is then I do recommend this audio book as it will discuss you everything you need to know from where to start or where to begin as a beginner. Grab your copy now! Practicing Chakra Healing provides exactly the right amount of energy to every part of your body, mind and spirit. This audio book will help you to start your journey on Chakra and as it will also help you to awaken your chakras. Overall, I highly recommend this book especially if you're a beginner! Such a great audio book about Chakra awakening. 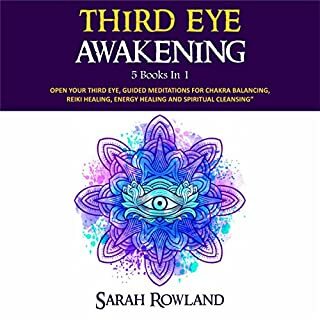 Through this audio book, I have learned on how to open or awaken and activate my Chakra; it also teach me on how to balance myself when I feel unbalanced and it truly help me this far! Thanks a lot! This is an in-depth and practical audio book guide that demonstrates and teaches us how to activate and balance the seven main chakras - energy centres that influence everything from migraines and fertility to communication and intuition. 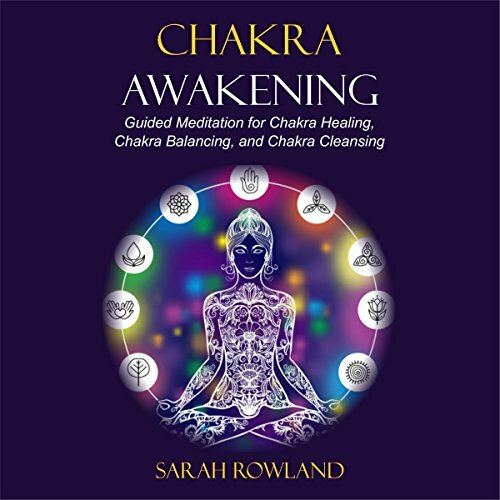 This audio book Chakra Awakening features colour photos and exercises for clearing negative energy, dispelling outdated belief systems, and identifying areas in your life that may be out of balance. It will also help you to create positive change in your physical, emotional, and spiritual well-being.